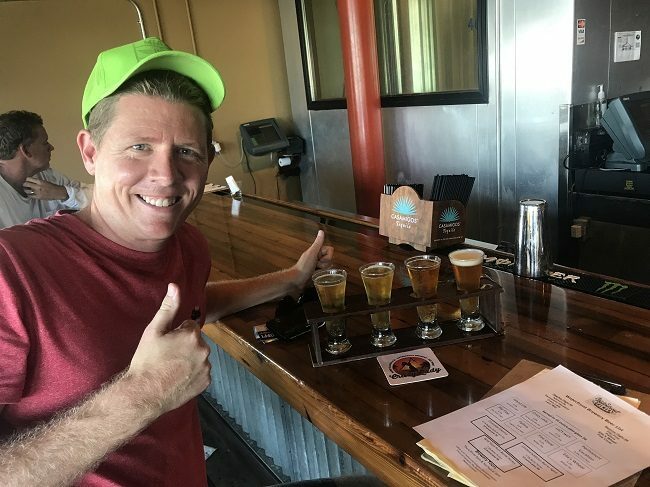 I was on a trolley tour in Key West, taking in the sights and history of the southern-most city in the contiguous United States of America, when we passed the Waterfront Brewery. Naturally, I had to check it out. Contrary to what someone on Untappd said about this beer, all cold beer tastes good when it’s 100 degrees out. Waterfront Brewery’s Island Life American Lager is no exception. It cools me down and quenches my thirst, leaving me feeling A-Okay and ready for something a little more exciting. It’s solid (not literally, of course) but unspectacular. Indeed, if I hadn’t written in my notes that I’d tried this beer in Key West, I wouldn’t have remembered it at all. Some people just can’t get enough sweetness in their life, but I am not one of those people. For me, the bitterness of beer is much more appealing than the sweetness of wine, which is why, try as I might, I just don’t really see the point in fruit beer (a pilsner or something with a fruity kick to it is another matter entirely). So this tropical little number isn’t really my thing. In fact, I kind of wish I’d started with it – remember what I said about all cold beer tasting good when you’re really hot? I’d been looking forward to this one from the moment I walked in the door to the Waterfront Brewery in Key West. I like the logo – the silhouette of a woman jumping for joy in the sunset, while holding what looks to be her bikini top – and I like the idea of a blonde ale with lashings of honey. This beer is sweet, but in a way that I like, smooth and sessionable. It’s the best beer so far. Finally, a classic American IPA. As grand finales go, Waterfront Brewery’s Lazy Way is more akin to the classic and highly competitive 1984 NBA finals between the LA Lakers and the Boston Celtics (which the latter won 4-3) than this year’s forgettable final that saw the Gold State Warriors beat the Cleveland Cavaliers 4-1. That’s a roundabout way of saying that I like this beer, very much. It’s robust, piney, citrusy, and slightly hazy. It’s easily the best of the lot. Check out more of the beers I had on holiday here.